Check out Tobi's Switch Like Night and Day Jumpsuit It's a wide leg jumpsuit for all your vacay plans. 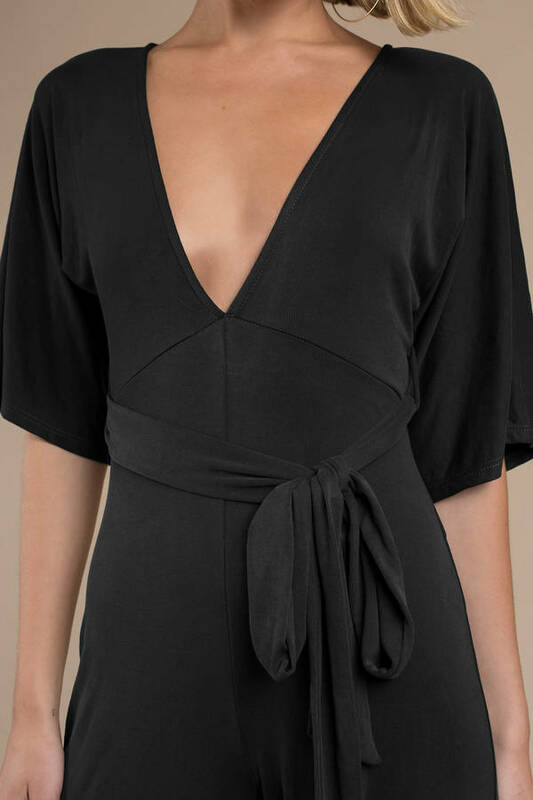 The Switch Like Night and Day Charcoal Jumpsuit features an ultra-soft modal knit with a deep v-neckline, tying waist sash, and wide legs for a comfortable and chic look. Pair this culotte jumpsuit with espadrilles or strappy heels. It's a wide leg jumpsuit for all your vacay plans. The Switch Like Night and Day Charcoal Jumpsuit features an ultra-soft modal knit with a deep v-neckline, tying waist sash, and wide legs for a comfortable and chic look. Pair this culotte jumpsuit with espadrilles or strappy heels.